Please enable it in your browser for a full experience. The transition to sustainable forms of personal transport is complex, difficult and will require sustained cooperation among stakeholders both locally and internationally. 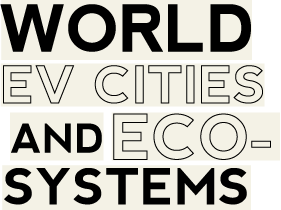 The World EV Cities and Ecosystems (WECE) web portal has been developed to facilitate cooperation, inspiration and sharing of practical experiences between cities and regions around the world that are encouraging clean, low carbon forms of transport.